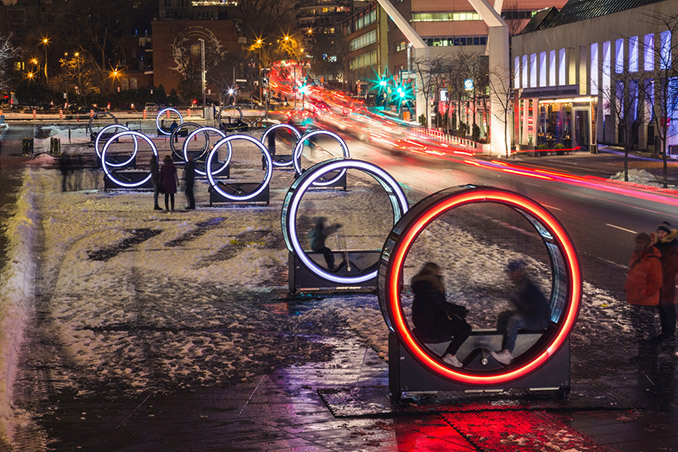 This winter the Quartier des spectacles Partnership invites Montrealers and visitors to discover Loop, an original installation on the Place des Festivals, on the Quartier des spectacles. The work, which will be presented from December 8 to January 29, consists of 13 giant zoetropes – an optical toy that was a forerunner of animated film. When a zoetrope is activate, images are shown in rapid succession, creating the illusion of motion. 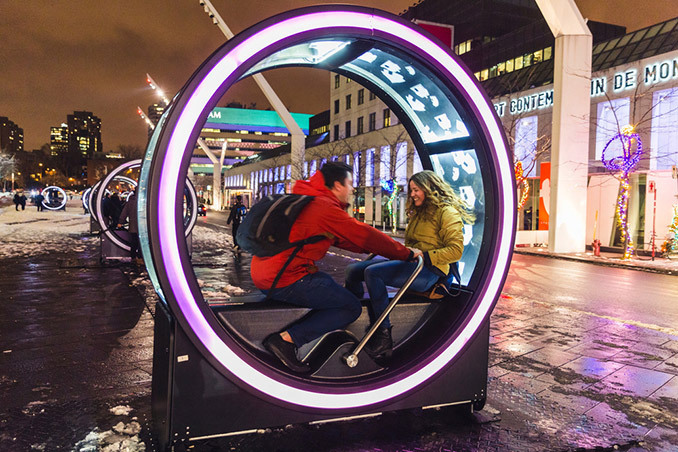 This illuminated musical installation, featuring a distinctive retro-futuristic look, uses cylinders two metres in diameter. Members of the public are invited to sit down inside and activate the mechanism, causing beautiful images inspired by 13 fairy tales to come to life. It’s magical! Loop is sure to spark children’s imagination and revive their parents’ childhood memories. 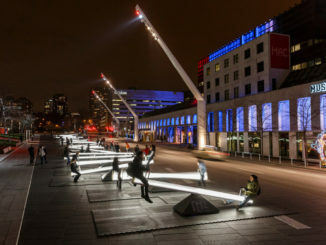 “Year after year, Luminothérapie keeps getting better, surprising us with daring and original works. 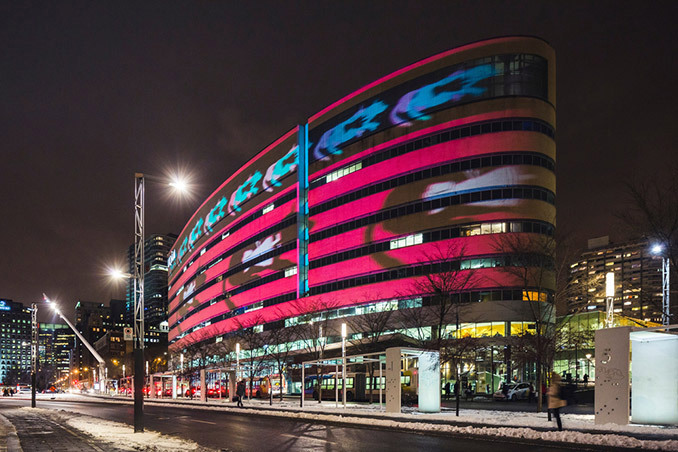 Montrealers have the privilege of being part of a renaissance in temporary public art. 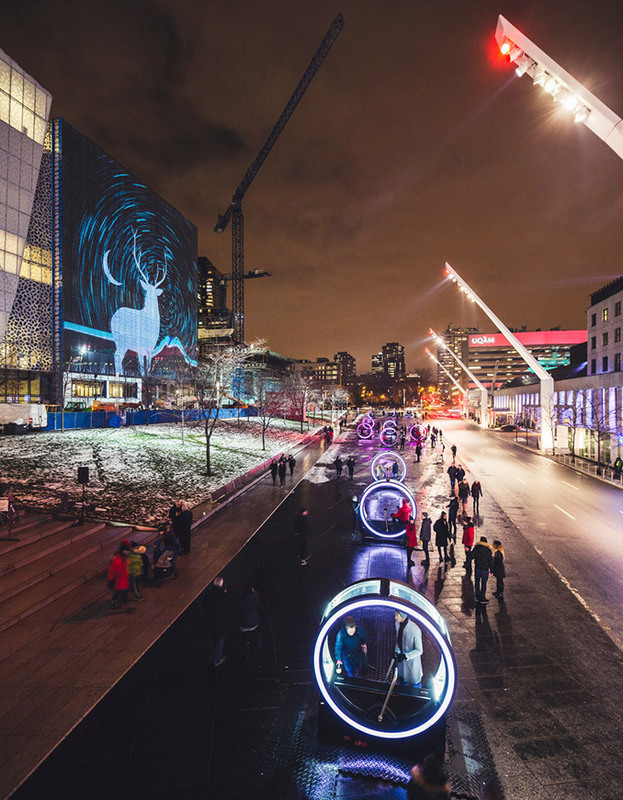 The Partnership is very proud to provide an exceptional showcase for local artists, who are not only getting exposure locally, but are increasingly acclaimed in other countries thanks to the export of their work.” – Jacques Primeau, chair, Quartier des spectacles Partnership.